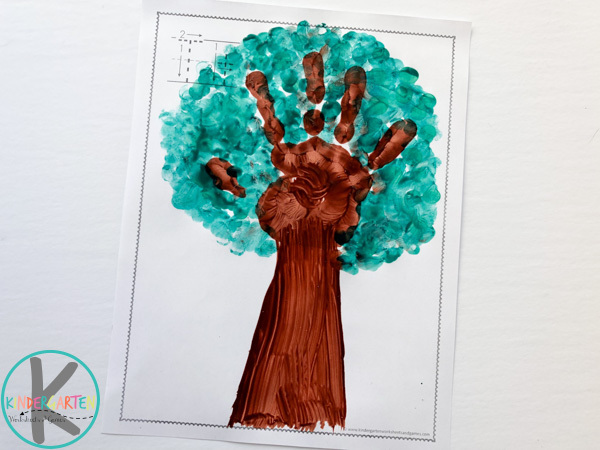 Next in the Alphabet Handprint Art Series is the letter T. This week we are sharing a T is for Tree handprint craft. This craft is great for kindergartners as they learn the letter T. Don’t forget to print the free letter t worksheets to help kids get more handwriting practice. 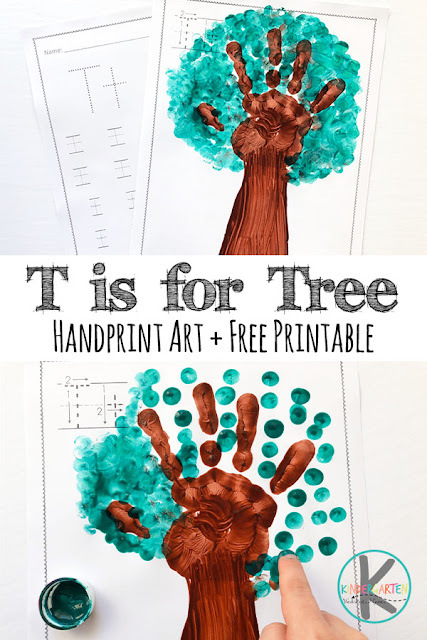 This T is for Tree alphabet craft uses some paint and simple supplies. It’s always a lot of fun to for the kids to see how their hand print can turn into something else. 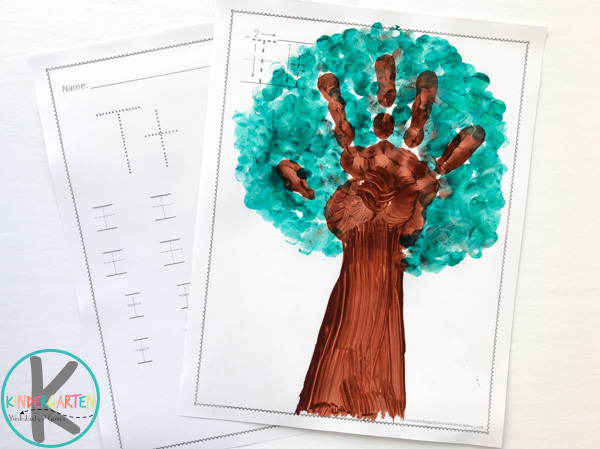 For this activity, we use brown to make a handprint for tree branches, and then use green to make the tree’s leaves. It’s a simple way to make a cute little tree craft! First, print the printable to go along with this craft. 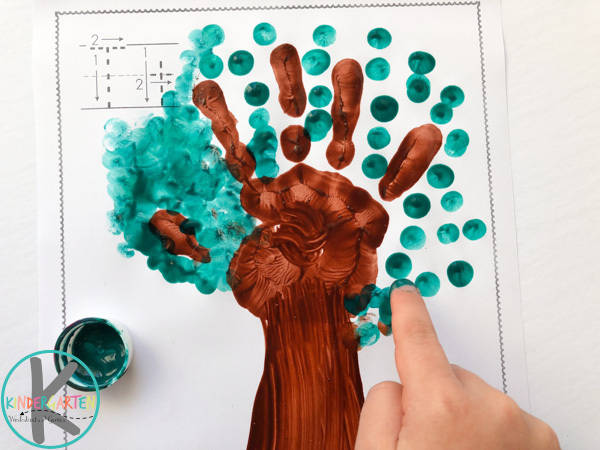 We like to practice the letter on the first page before making our handprint, and we do the free letter t worksheets while the tree handprint is drying. Start by painting the palm and fingers with brown paint. Now it’s time to make the T is for Tree handprint! 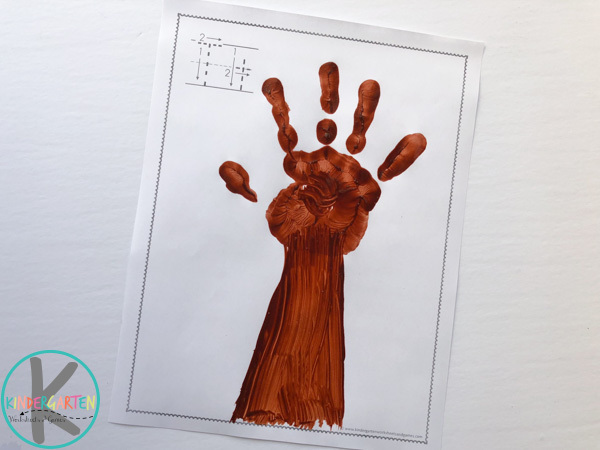 Make a handprint near the top center of the page, with fingers pointing upwards. This will be the branches of the tree. Use a paintbrush and brown paint to paint the tree trunk, from the base of the hand to the bottom of the page. Now it’s time to make the leaves. 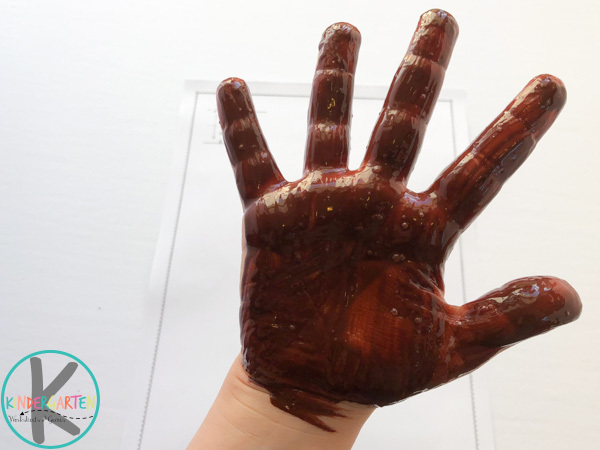 Dip a finger into green paint and make fingerprints all around the thumb and fingers on the brown handprint. 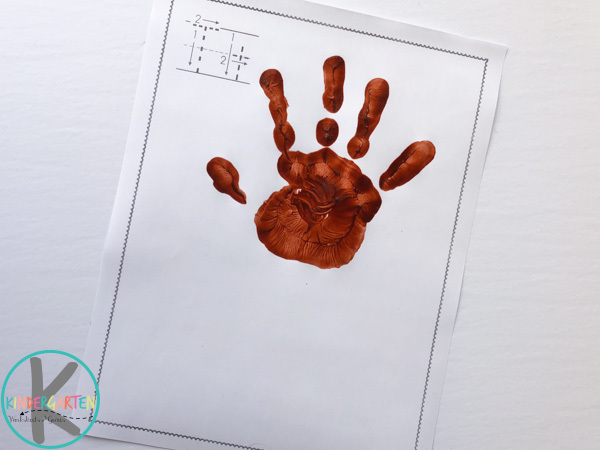 Let dry and then your tree handprint is complete! While your tree is drying, complete the second page of the “T” is for Tree worksheet for more letter “T” practice!